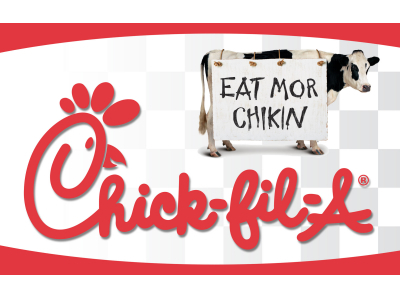 What would happen if with the same passion Christians went out today to show their support to “Chick-fil-A”, they would run into their secret places to spend quality time with Jesus? What would happen if with the same passion Christians went out today to show their support to “Chick-fil-A” restaurants they would go after the lost souls around them with the Gospel of Jesus Christ? What would happen if with the same passion Christians went out today to show their support to “Chick-fil-A” restaurants they would become hungry and thirsty for God’s righteousness? What would happen if with the same passion Christians went out today to show their support to “Chick-fil-A” restaurants they would work hard towards the unity of our divided Body of Christ? What would happen if with the same passion Christians went out today to show their support to “Chick-fil-A” restaurants they would confront the false prophets and false teachers among us? What would happen if with the same passion Christians went out today to show their support to “Chick-fil-A” restaurants they refuse to allow gossip to corrupt our conversations? What would happen if with the same passion Christians went out today to show their support to “Chick-fil-A” restaurants they would also gather together to pray for this lost nation? I will tell you what would happen, we would be experiencing a great revival! But we are so dry and cold that we rather exchange going after a sincere and rich relationship with Christ for another protest against the world. We are big in standing for so call Godly Causes, but not so big in our prayer life. “9 I wrote to you in my letter not to associate with sexually immoral people— 10 not at all meaning the people of this world who are immoral, or the greedy and swindlers, or idolaters. In that case you would have to leave this world. 11 But now I am writing to you that you must not associate with anyone who claims to be a brother or sister but is sexually immoral or greedy, an idolater or slanderer, a drunkard or swindler. Do not even eat with such people. Are you anointed to proclaim the good news?